Every year Nebraska Wildlife Rehab, Inc. (NWRI) receives many calls from the public, requesting advice on how to rid yards and feeders of the so-called “nuisance” birds. Most commonly, grackles, starlings, cowbirds or pigeons are the culprits. Some people also find crows and imported European sparrows unwelcome additions to their yards. It order to humanely discourage these birds from your yard, it is important to be able to identify the species in question, know some background information and determine why the birds are attracted to your yard in the first place. With patience and planning, it is possible to encourage these birds to move out of your yard. Collectively, grackles, starlings, cowbirds and crows are known as “black birds” to people unable to distinguish between bird species; however, it is important to know which type of bird you are seeing in order to determine how to deal with your problem. All of these birds are often seen in flocks. The grackle, cowbird and crow are all native to North America. Because of their adaptability to the expanding cities in the United States, they are seen in urban areas much more commonly than the smaller, rarer songbirds. The European starling and several types of sparrows were imported from Europe over the past 200 years, and due to their adaptability, have quickly out-competed many native species for habitat and food. They have also made the switch from rural to urban life relatively unscathed. The grackle is approximately 12” long. Although it appears all black at a distance, it is actually highly iridescent, with colors varying from blue to purple to green to bronze, depending on the light. The female is duller and somewhat smaller than the male, and both males and females have yellow eyes. Grackles have long, wedge-shaped tails. The European starling is smaller than the grackle, approximately 7 to 9” in length. It has a short-tail, and is an iridescent black in color. It has a long pointed bill that is yellow in summer and dark in fall and early winter. 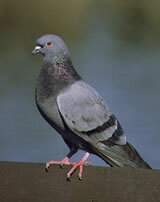 Its plumage is flecked with white in winter. The juvenile starling is uniform dull gray with dark bill, and is often seen noisily following adults in the flock after it begins flying, and begging for food. 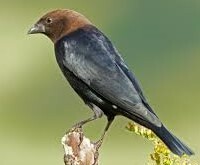 The brown-headed cowbird is the most common cowbird in the Omaha area. It is the same size or slightly smaller than the starling, but the male is all black with a brown head, and the female is uniformly a plain gray-brown color. Cowbirds have a short, finch-like bill. The American crow is much larger that the other bird types. It is 17 to 21" long, and is a stocky black bird with a stout bill and fan-shaped tail. Crows are uniformly black, and make the common “caw caw” noise heard throughout the city. 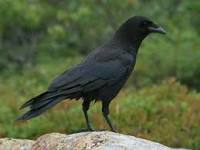 Crows are omnivorous, and will prey on small rodents, as well as eat road-kill and plant matter. 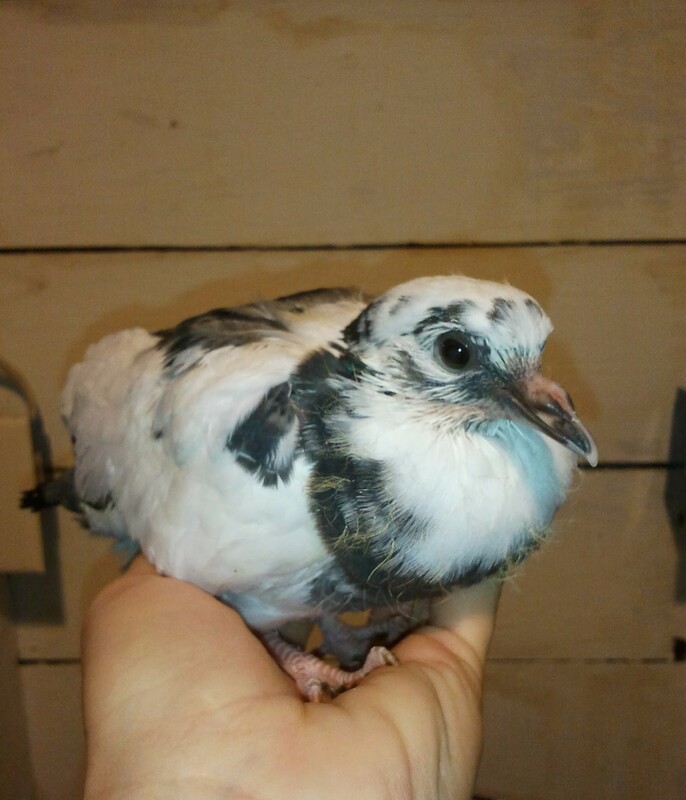 The bird most people know as a pigeon or rock dove, is most likely a hybrid species derived from wild and domestic pigeon types. These birds thrive in cities where large buildings with flat roofs, bridges, underpasses and billboards provide the ideal flat nesting sites they use. Birds often congregate at or near water sources. Eliminating standing water in your yard not only encourages birds to look elsewhere for a place to spend time, it also keeps your yard from becoming a mosquito breeding ground. If you have a yard pond or bird bath, some traffic from birds of all types, as well as other animals, is to be expected, and is unavoidable. If you have inadvertent food sources in your yard, such as dog food or cat food, we highly recommend that you feed your domestic pets inside. This not only discourages crows and starlings from feasting on your pet’s food, it also keeps rodents, raccoons and opossums from becoming frequent visitors to the dish. Berry-yielding shrubs will also attract some birds, including starlings and grackles to your yard for a portion of the year. You may replace these shrubs with something less appealing to the birds, but you will also discourage other types of songbirds from visiting your yard. Treat your lawn for grubs and other pests. Grubs attract all types of wildlife to your yard. Crows will feast on lawn pests, but so do robins and some of the other seasonal, insectivorous birds. If you feed birds from feeders in your yard, buy feeders that prevent larger birds from accessing the food. Also select foods that are unappealing to starlings and grackles. To choose a feeder that excludes grackles and starlings, do your homework. Many feeders are made based on a variety of exclusion techniques. Use feeders that are made for smaller birds, such as tube feeders with short perches but no catch basins on which large birds may perch. Try tube feeders that have wire cages around the tubes. Finches and small birds can get through the wire to the feeding ports, but large birds are excluded. If starlings are gobbling down your suet, offer it in a container open only at the bottom, requiring birds to feed hanging upside down. Woodpeckers, chickadees, and nuthatches do this naturally, but starlings cannot. Avoid platform trays and don't spread food on the ground, where the larger aggressive species can access it. Don't offer seed mixes with corn, millet, or milo, which grackles and pigeons enjoy. Certain types of squirrel-proof feeders also can keep out large birds—those that use a spring-loaded or counter-weighted gate that closes off access to the seed ports under the squirrel's weight. This weight adjustment can be altered to selectively exclude larger, undesirable birds. You can virtually eliminate visits by birds that you would rather not see by offering foods that they won't eat. Common seeds like sunflower seed, milo and corn appeal to jays, but also to blackbirds and pigeons. Millet appeals to many ground-feeding birds, such as doves, juncos, and sparrows; however, it also attracts undesirable non-native species such as European starlings and house sparrows. Select seed appropriate to the types of birds you would like to attract to your yard. Safflower is appealing to finches, cardinals, grosbeaks, chickadees, titmice and nuthatches, but not to pigeons and blackbirds. Finches and buntings enjoy nyjer, which does not appeal to the blackbird species or pigeons. All wildlife is attracted to dense underbrush, and trees with close branches. Thinning your underbrush and the branches in your trees will discourage flocking birds and other wildlife from setting up permanent residence in your yard. Pigeons roost on flat surfaces. If you are putting up a shed in your yard, ensure that it has a sloped roof, and do not leave the doors to garages and sheds open. The rafters in these buildings often provide man-made coops for pigeons. Discouraging a flock of starlings from roosting around your house can be difficult. Installing a plastic model hawk or owl in a tree may help, but if that's all you do the birds will soon realize it poses no threat and ignore it. It's better to use a predator decoy in combination with another bird deterrent, such as a recording of starling distress calls broadcast through a yard speaker. Loud noises will also flush bird flocks from your trees. Some people use fireworks, or clang pots and pans together. Sometimes even just clapping your hands is enough to flush a starling flock. Although the roosting starlings may keep coming back for a while, if you chase them away at dusk every evening for a week or so, the flock may move to another roost. Be persistent to avoid having the flock become established in your yard. It's much harder to get a flock to move once they've settled in at a roost site.